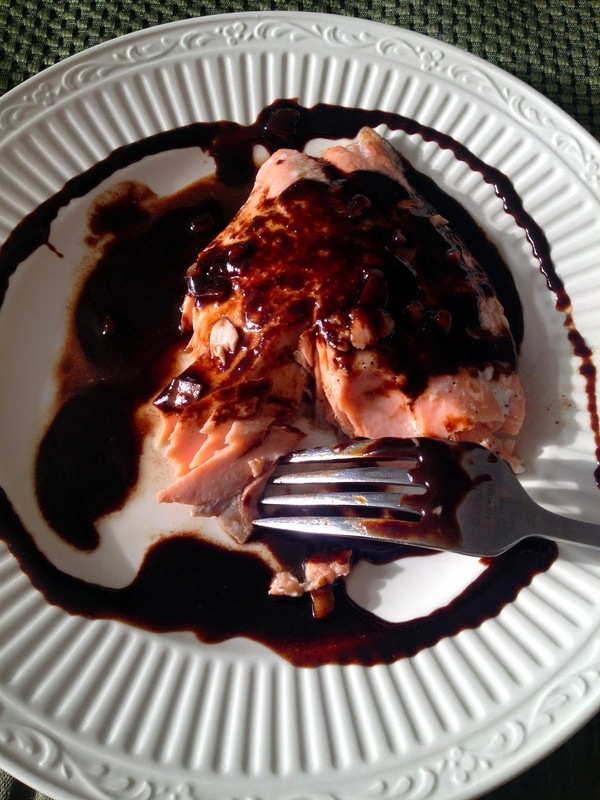 Here is a simple, fast and tasty recipe for you to add to your meal plan! I whipped this up because I had everything needed in my pantry/refrigerator before we left for vacation. John and I were surprised at how much we enjoyed this, and how much flavor was packed into this sauce. Give it a try on a night where you want a healthy meal, but don't have tons of time - or extra ingredients! 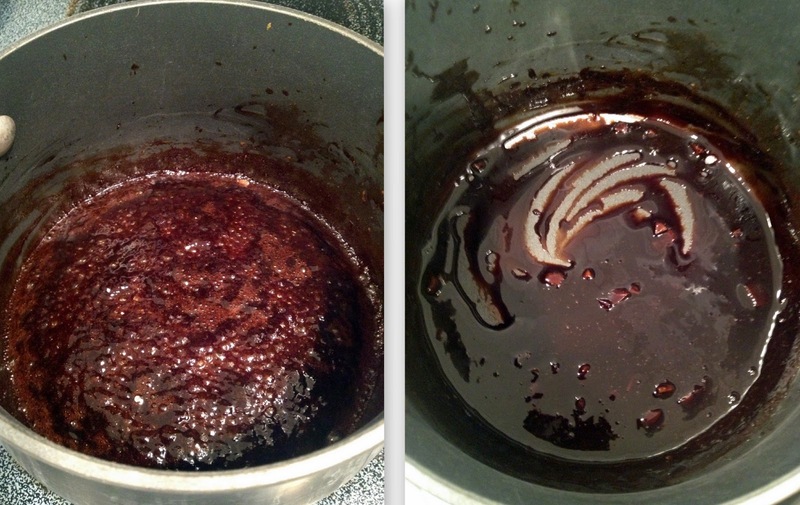 *Boil vinegar and next 3 ingredients in a small saucepan. Reduce heat and simmer 12 minutes or until thickened. Set aside. 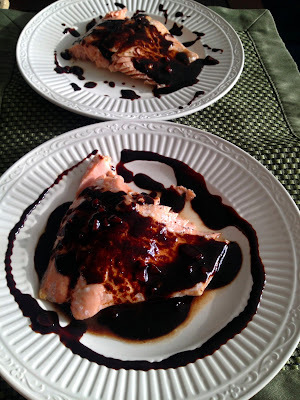 *Arrange salmon on parchment paper-lined baking sheet. Drizzle both sides of filets with olive oil and season with salt and pepper. *Bake 8 to 10 minutes or until salmon is cooked through and flakes easily with a fork. Cool 10 minutes. 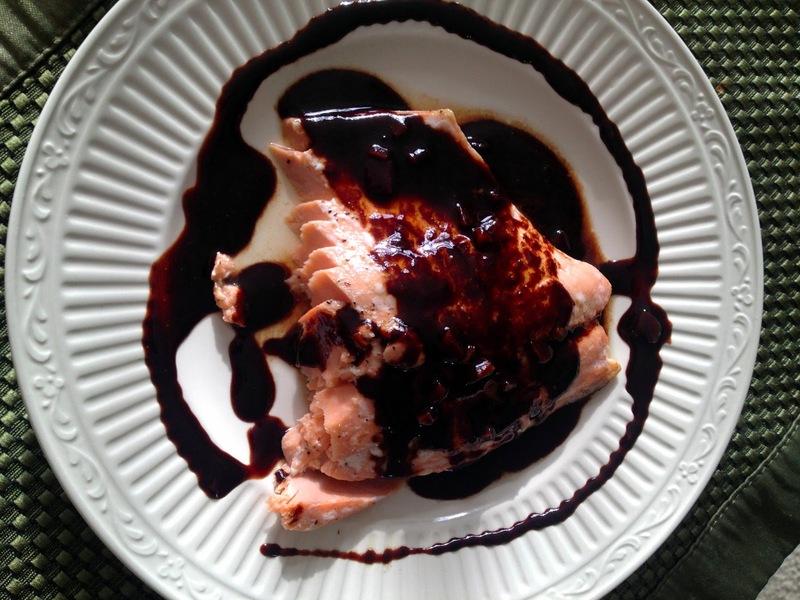 *Drizzle salmon with glaze. Serve immediately. It is really flavorful, even with so few ingredients. Let me know what you think if you try it!